We all have a face that we put on for the external world – a face that hides, to some degree or other, our innermost workings, our fears and our insecurities. For some people, you can’t see the real person for the facade, where others are mostly transparent, letting their inner self shine through. I like to think of myself as being of the latter category; I try to be true to myself in everything I do, and to just be me. That being said, I think even the most transparent of people have a side of themselves, an unconscious that lurks behind the scenes, watching and processing. In most people, that unconscious probably doesn’t come out to play very often – perhaps in dreams, or other moments where lucidity slips momentarily away. What I have come to realize of late is that being a writer allows us to lure out that unconscious, to bring it into the light and to feed it. We live dangerously through our words, our writing conjuring up entire other planes of existence, places where we can bend the rules and play with reality. It allows us to stretch our beings and live through the characters we bring to life on the page. And, my recent experience has shown that it can unearth an entire side of our selves that we might otherwise not realize existed. My author self is dark, and even when I write with a lighter hand, there is a snark to the humor. 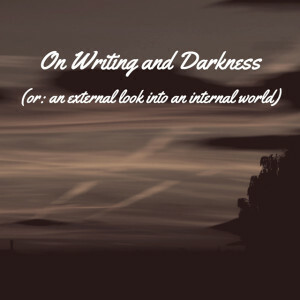 I don’t think it’s a negative thing – maybe the darkness that gets expressed in writing allows me to live my real life without that tinge of the unconscious hanging on. Perhaps it allows me to purge the unconscious onto the page, where it lives without clouding my day to day self. There’s not much more of a point to today’s post, just an airing of a recent musing. That being said, I would love to hear from others who dabble putting pen to paper – do you find that your imagination takes you places that your “everyday self” wouldn’t dare? Do you find that your creative self is entirely different, or is there a blend of the two within?